We all know Kingston's housing debate is not just about getting the height right but also building enough affordable housing with a density that the existing and planned infrastructure will be able to support in the short, medium and long term. However, as St George's revised plans for The Old Post Office Site (TOPO) are submitted to Kingston Council and a number of differently sized tall and high density applications across the borough are currently being discussed - e.g. Eden Walk, Tolworth Tower, Tesco Site, Gasworks, the list goes on - is it time to ask what type of housing would the residents of Kingston Borough really like to see in their neighbourhood? 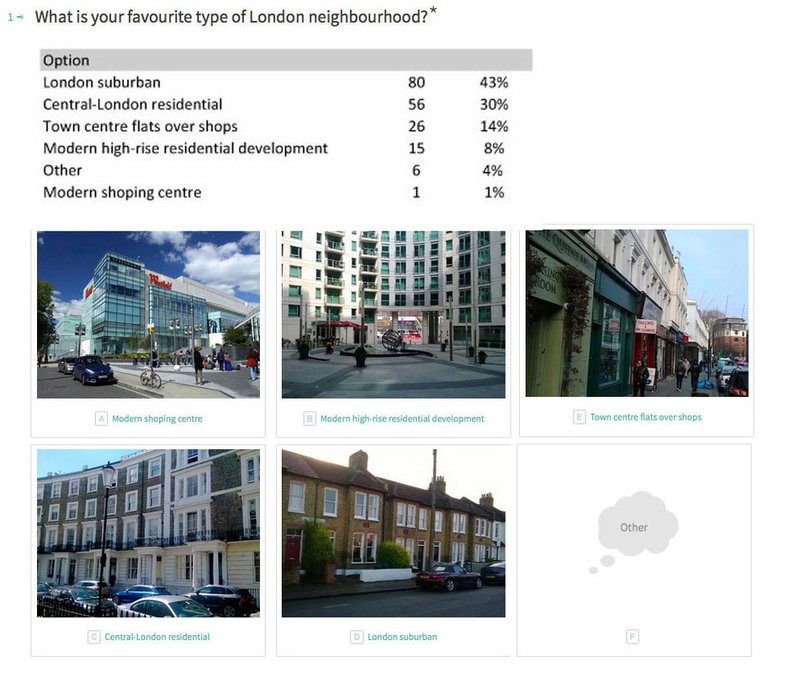 What type of housing would the residents of Kingston Borough really like to see in their neighbourhood? After all, we were never given a real answer as to why the Royal Borough of Kingston has no Tall Building Strategy, why 9+ storey planning guidelines can be interpreted by the developers as 19+, how a 50% affordable housing target can be met with deals that have no or negligible levels, and why we, the residents, are dragged into a myriad of pointless consultation processes where the developers have already been given planning briefs by officials or elected Councillors of this borough? As the leader of the Council admitted in the Council Committee meeting in May 2015 "the problem is Developers came up with their planning applications much faster than the we expected". Could this be an excellent example of just bad planning? Is this not a good time to stop and take stock? Back in the summer, we decided to go DIY and held a modest 2-minute snap survey. It was conducted online by CreateStreets on our behalf and the results and contribution figures are below for all to see. We are not suggesting that this is what all Kingston Residents want. 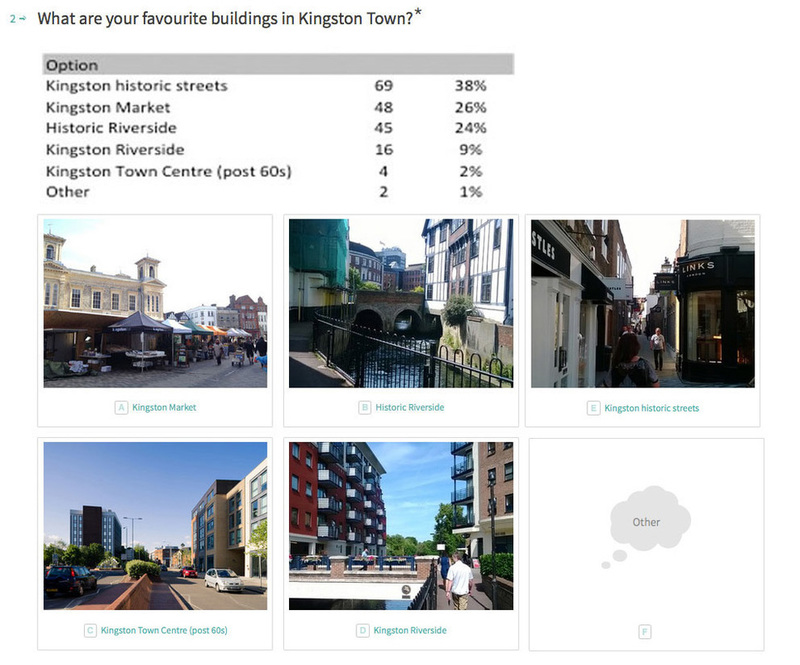 But we did ask the question: 'what height limit Kingston Town Centre should have" And the answer is 83% think it should be 9 storeys or less! 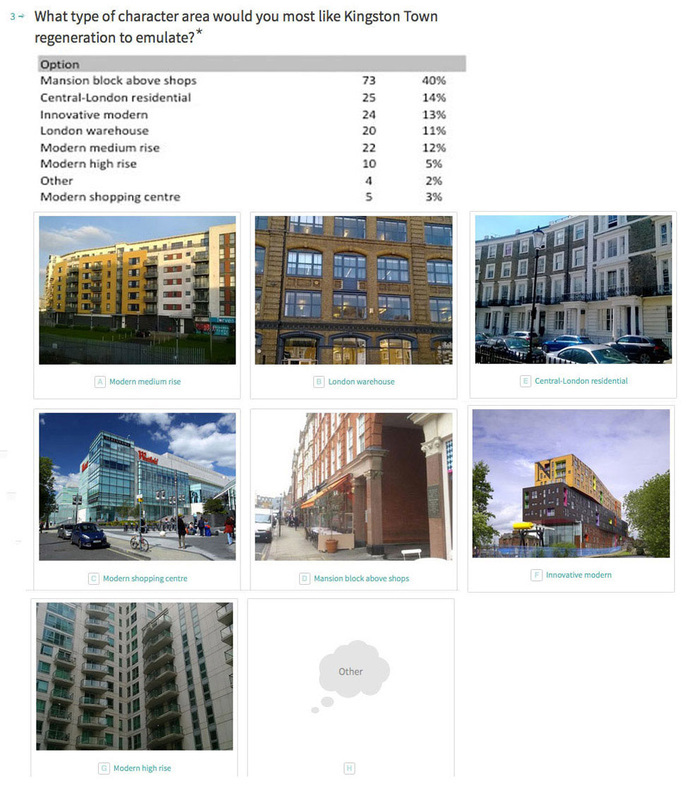 83% think the height limit for Kingston Town center should be 9 storeys or less. Let's hope the below will help contribute to the debate about around the height, density - and more importantly affordability - of these new housing projects dropping into our inboxes day after day. For those who have given a mandate to vet these plans and make expert opinions should not forget the infrastructure to back them up has to match the speed of the planning briefs given to developers.